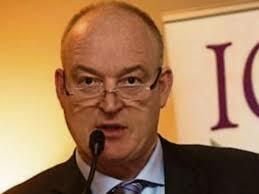 Wexford suckler and sheep farmer Patrick Kent has been returned as president of the ICSA for a third term. Speaking following his election in Portlaoise Mr. Kent said the immediate priority of his association “is to get fodder to farmers in border and western regions struggling with weather related shortages. He said: “ICSA is actively sourcing fodder to help and is also pushing for Government assistance in the form of transport subsidies and meal vouchers. “Further down the line, Mercosur and CAP reform will be critical issues in 2018.
narrowly defeated in the campaign for the presidency.